A body washed up on the beach... 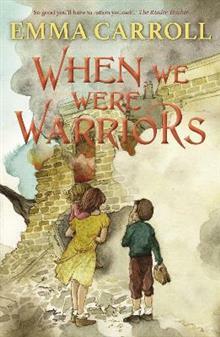 Evacuation to an old house with forbidden rooms and dark secrets... An animal rescue service... Set in World War Two, Emma Carroll explores the resilience, resourcefulness and inventiveness of children when their lives fall to pieces. Introducing some compelling new characters, as well as revisiting some familiar settings, these adventures are sure to win over new readers, as well as fans of old favourites such as Letters from the Lighthouse and Frost Hollow Hall.